In bodybuilding, when discussing nutrition and training, oftentimes it’s referred to within the context of a contest prep diet: How do we eat to get leaner? What is the most optimal cardio routine for fat-loss? However, when we think about it, and what “bodybuilding” really is, we realize that our off-season programming is just as, if not more important, than our in-season programming, and not to mention longer too. Coaches Andrea Valdez, Brad Loomis and Alberto Nunez join us to discuss this very topic. 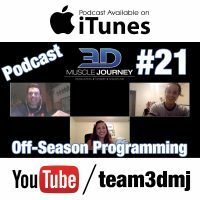 How should you handle your programming if you plan on taking an extended off-season? What are the 4 unique scenarios which allow for the elusive body-recomposition? What is the purpose of “mini-cuts” during the off-season? Why don’t you just focus on gaining the whole time? Along with answering the above questions, the group also touch on: Saving up willpower, the importance of “mental-deloads” and using the off-season as a time to find balance in your life. 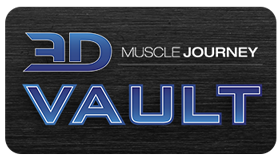 This week’s podcast comes to a close with a thorough discussion on something that as of recent, has gained more and more popularity within the natural bodybuilding community, the diet before the diet.